We already talked how to care mattresses in previous article. But no matter how clean your house, saprophytic mites dwell in it together with you. Invisible to the naked eye, they live in every accommodation. However, their waste products are strong domestic allergen. These parasites have toxic excrement which often trigger the chronic rheuma, pinkeye, dermatitis and even the bronchial asthma. How can you protect yourself and your loved ones from these hazardous microorganisms? Step 1. All the unnecessary things which accumulate the dust are required to be thrown away from your house. The things such as old carpets and plaids, curtains, stuffed animals can be a breeding ground for parasites. You also should keep the books and cloth in the closets. Step 2. Wet cleaning is the best way to get rid of dust and consequently dust mites. You should dust more often the furniture with wet wipes and use a vacuum cleaner before mopping in order to clean all the fabric surfaces. Step 3. 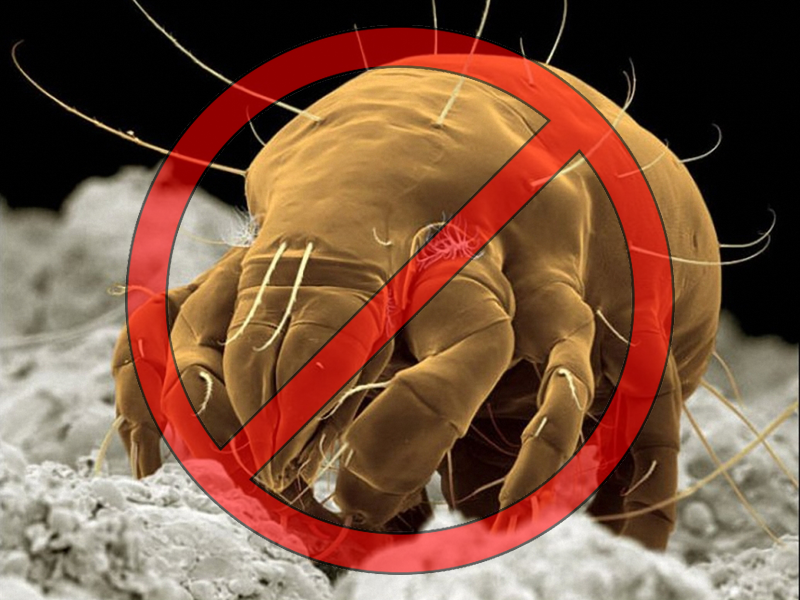 Take a look at your bedding as it’s the main place of dust mites’ habitat. Mites feed on the dead skin cells, fallen on a mattress, a pillow, a blanket. As well as the persistent perspiration during human sleep creates the conditions for reproduction of the parasites. Thus, a double-bed accounts for about 300-400 millions of saprophytes. In order to get rid of the reproduction of the mites in our beds it’s much easier to use a watertight protect-a-bad for mattress and pillow and change the linens every 10 days. Protect-a-bag has a patented material Bed Lock which prevents the penetration of microorganisms into the bedding. Saprophytes also don’t like the coldness and sunlight, for this reason you can carry your pillows and blankets out to the balcony to ventilate them.